The Oticon Remote Control will allow you to operate Oticon hearing instruments discreetly without any other devices needed. Please select Version 2.0 unless you have the New Oticon OPN hearing aids in that case you need Version 3.0. The Oticon Remote Control will allow you to operate Oticon hearing instruments discreetly without any other devices needed. 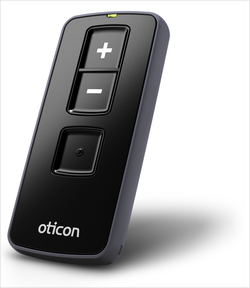 The Oticon Remote Control is a discreet and elegant solution for all users, and a complementary accessory for users of hearing instruments without buttons. Easy to operate with full discretion the Oticon Remote Control offers an intuitive, straightforward and discreet way to operate your hearing instruments. With the Oticon Remote Control, you can perform the most common everyday adjustments without drawing attention to your hearing instrument. You can adjust volume up/down and cycle through the hearing instrument programs. Full discretion is offered, since the Oticon Remote Control can operate your hearing instruments from a distance of up to 1 metre and since a direct line of sight between the Oticon Remote Control and the hearing instruments is not required. 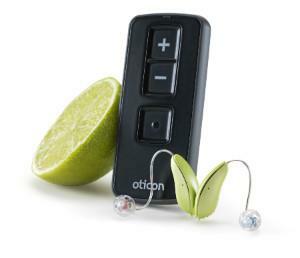 Item is Brand New Boxed Supplied by Oticon UK. Comes with 1 year warranty.